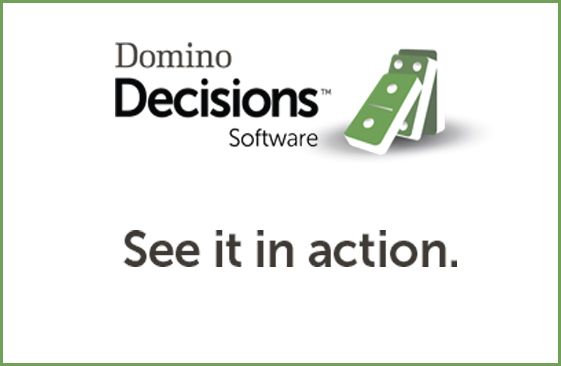 Domino Decisions™ gives you the power to do the right things. With 360-degree visibility, you’ll be able to make better, faster decisions. What tactical mix should be most effective? adjustments can make it perform better? generate a minimum of 900% ROI within three years. Domino Decisions gives your marketing team the power to gain efficiency by doing things right…. projections, and workflows – by simply dragging and dropping a tactic onto an intuitive calendar. analytics and a flexible pre-built reporting library. No significant investment in time or resources required. agile and free to focus on strategic and creative thinking.